For those of you who don’t know – Manu Feidel is a French chef who hosts a program called “My Kitchen Rules” He is renowned for his love of copious amounts of sauce. This particular sauce has subtle layers of flavour but the hint of cinnamon just drives your palate crazy – well it drives mine crazy. Serve this with mash and heaven is created in your mouth. 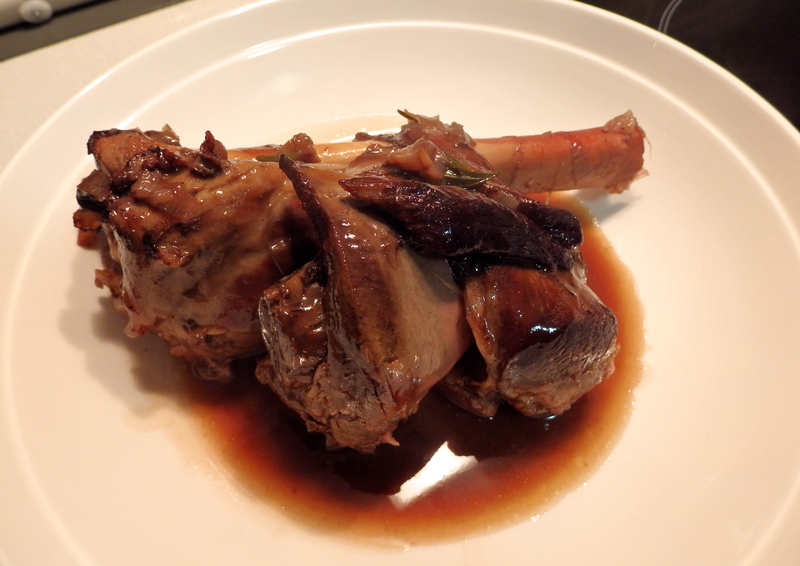 Manu did use Veal Shanks in this recipe but I used Lamb Shanks. Heat the olive oil sand 20g of the butter in a large casserole pot over medium heat. When the butter starts to foam, add the shanks and cook for 5 mins until browned all over. Remove the shanks and add onion, garlic, carrots, leek and stir for 6-8 minutes or until golden. Return shanks to the pan, than add the wine and bring to the boil. Ad the stock, thyme, rosemary, cinnamon, juniper berries and balsamic vinegar. Bring to the boil again, cover with a piece of baking paper (cartouche), then seal with a lid and bake, turning the shanks once, for 2 hours or until the meat almost falls off the bone. Remove the shanks from the sauce, then strain the sauce through a fine mesh sieve into a clean pan, pressing down on the solids with the back of a ladle to extract as much flavour as possible. Simmer the sauce for 20 minutes or until it has reduced by half, then whisk in the remaining 40g of butter , one piece at a time. To serve, check the seasoning of the sauce and then pour it over the shanks. Serve with mash if desired.